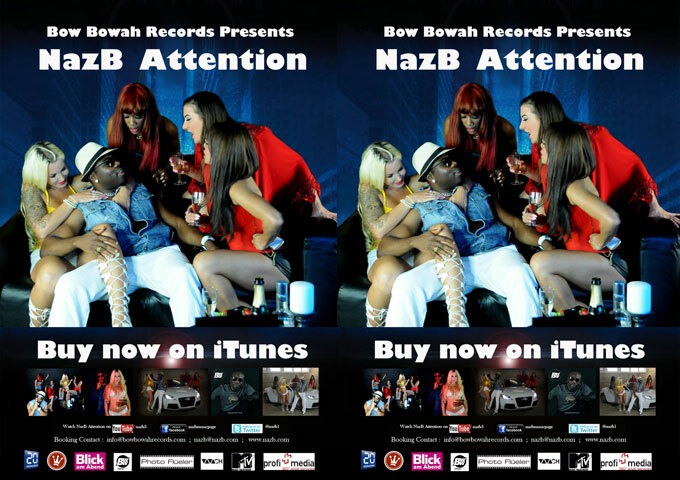 The latest music video ‘Attention’ set to be released under Bow Bowah records on the 28 November, is a high energy tune with a glamorous video. Hot girls, flashy cars and a party fueled look, the video catches your ‘Attention’ instantly. Among the bright lights and fun, Swiss celebrity model, Vanessa Derbachelor (Frauen Tauschen ) and Indie Arts (Ingrid Villafane) share the spotlight. The video represents a scenario that many will feel familiar with. This is, a man and a women wanting to gain the attention of each other. The chorus is catchy and definitely sticks in your mind. The song combines a dance sound with a hip hop feel, with lyrics being wrapped by NazB. Style wise, the sound could be comparable to the likes of Flo Rida. ‘Attention’ also contains a female vocalist. The song would fit perfectly in a club or bar to set a party off. The song was written and produced by Michael Ozigbo, Andy Prinz and Alexander Yakovlev. 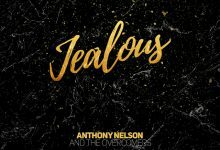 the album include two remix version by a swiss producer Dave Manuel and UK Award wining producer Rymezs who has worked with Tinie Tempah, James Arthur and Wiley. 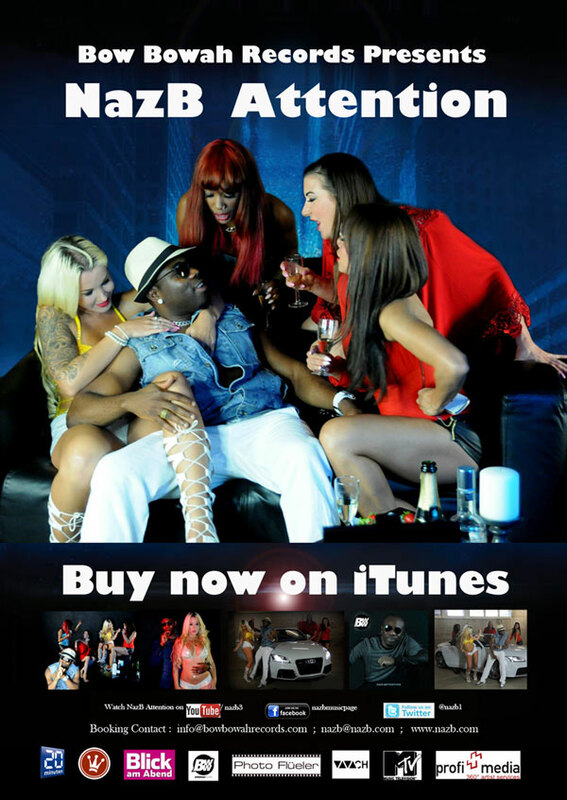 The song is set for release on the 28th November under Bow Bowah records in Switzerland. The album will be in on iTunes as from today.